Project 800 was launched in July in celebration of Nutrition Month. 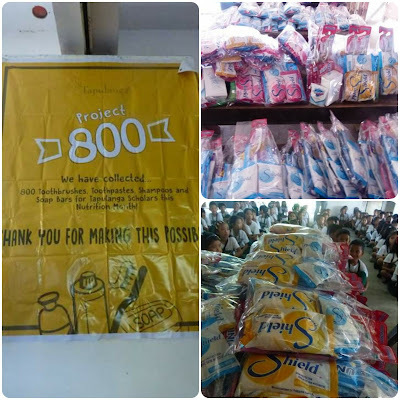 To promote awareness and importance of proper hygiene and cleanliness, Tapulanga Foundation gave out toiletries and other supplies to scholars at St. Francis of Assisi School of Silay City. The foundation was blessed with donations of 800 packs of toiletries including bath soaps, shampoos, toothbrushes and toothpastes. Our most generous contributions came from ACS Manufacturing Corporation, manufacturer and distributor of Shield soap and Unique toothpaste. 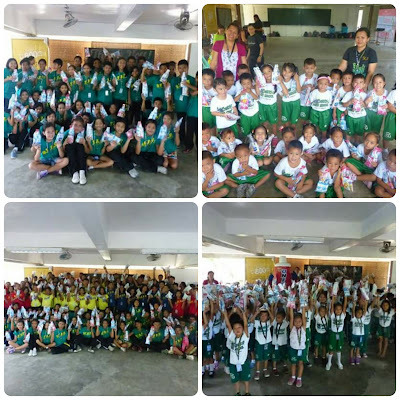 The toiletries were distributed on August 12 to all the scholars from Pre-Kindergarten to Grade 10, including teachers and staff. 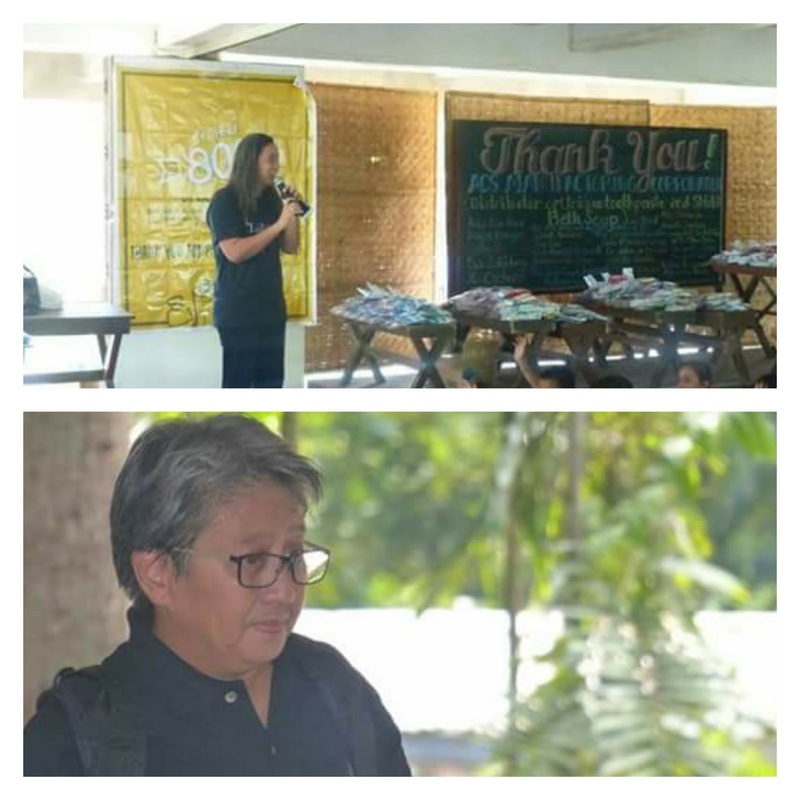 Before the distribution, Ms. Micmic Golez gave a short speech on the importance of proper hygiene. 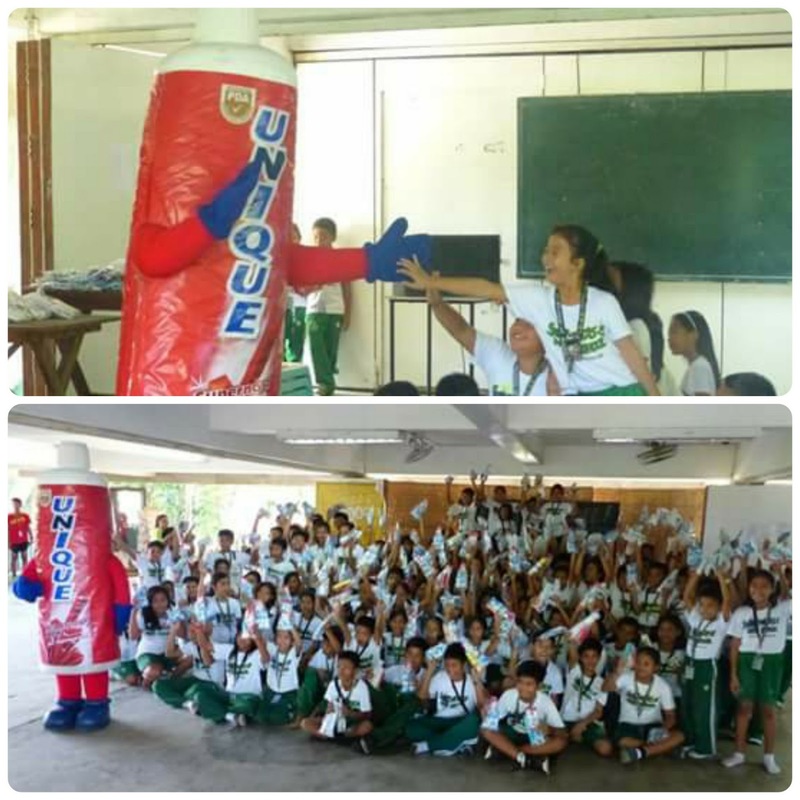 TF board member, Bugsy Bongco, who spearheaded the project and the Sales Representative of ACS, Dandy Divinagracia were also present during the distribution of toiletries along with a special appearance from Unique Toothpaste's mascot. We also want to express our gratitude to these kind-hearted people who made this project possible: Anonymous Donor, Bugsy Bongco, Arla Rose Perez, Cathy Sy, Eva Sabidong, JC Cachero, Sarah Navarro, Joy Lee, Vina Marcos-Rossuck, Dr. Joan Grace Trasmonte-Baticos, Mae Concepcion-Ravadilla, Carla Moñozca-Longa, Josette Gustilo, Trixie Ledesma-Servida, Cris Bocol, Aniceta Javelo, Dr. Julius de la Cruz, Confydent Dental Clinic of Dr. Eltton Fritz Lim and Dra. Dianne Margaret Lim, Kristine de Guzman and Atty. Jessica Hilado, Atty. Roy Santos and Atty. Fidel Valeros of PJS Law Office.